Bushy, spreading, deciduous shrub. 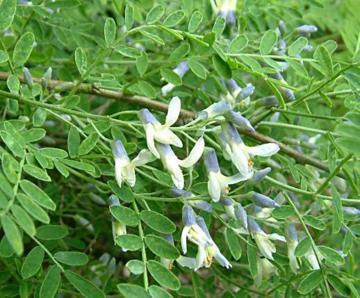 Pinnate leaves with up to 17 small, oval or obovate, green to grey-green leaflets. Terminal racemes of small pea-like, blue and white flowers in late spring and early summer.